Earlier this year I spotted a familiar new brand at the local drugstore. 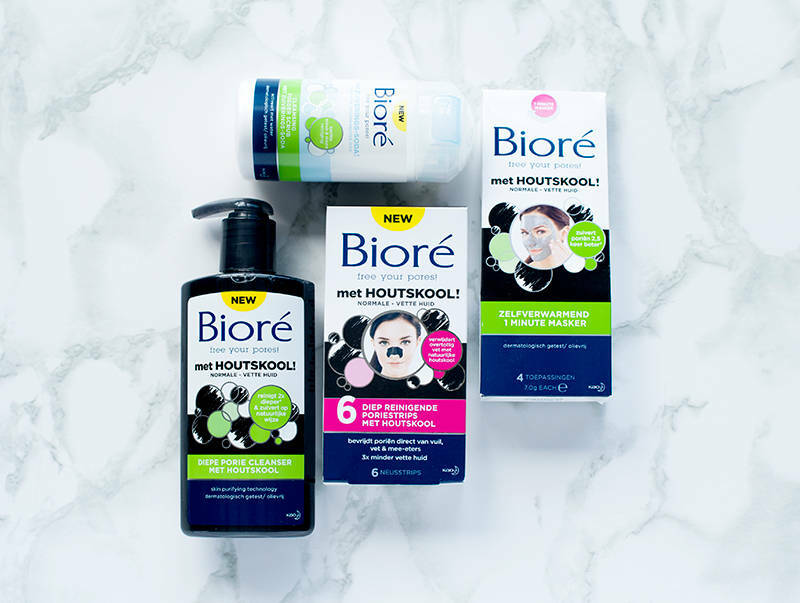 Bioré is a brand by Japanese cosmetics company Kao Corporation that mainly focuses on pore care. In Japan this is a well-loved drugstore brand that has been around for years and has a wide range of products. For the Benelux launch, the brand opted to offer a small selection of products targeted at people with oily & combination skin. 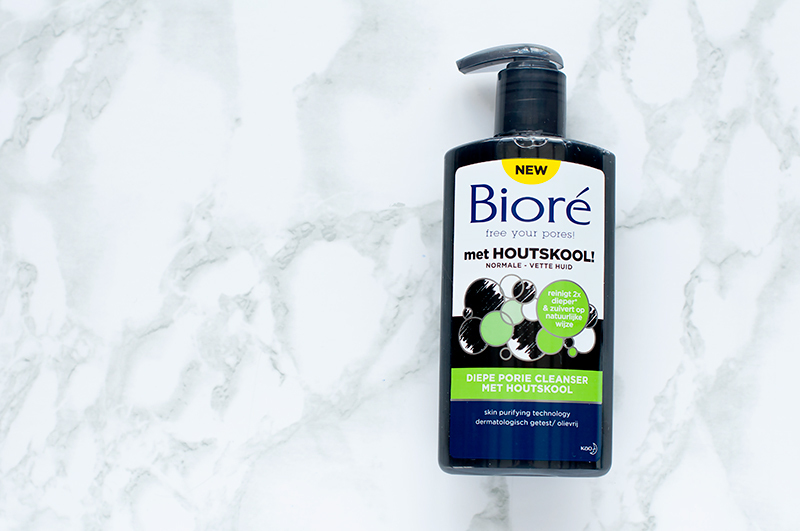 I picked up a few and will share my thoughts below..
Charcoal is known for its dirt absorbing qualities, so I was curious to try the Bioré Deep Pore Charcoal Cleanser. The oil-free black cleanser that foams white promises to draw out and trap 2x more dirt and impurities than a basic cleanser. Although I can’t confirm nor refute without doing an actual lab test, I do feel that my skin feels pretty clean afterwards. It also feels very fresh and tingly due to the menthol that is in there, which I am not a fan of. Be careful of using this around the eyes. Despite the fact that it didn’t feel stripping, I prefer cleansers that feel more gentle. 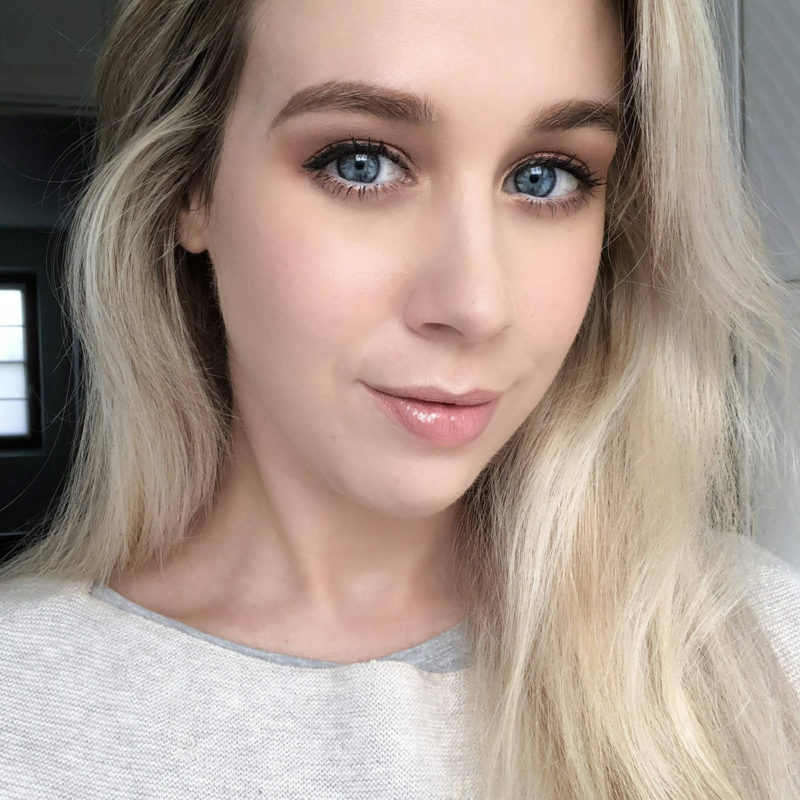 If you have oily skin you might like this, but if you have normal or sensitive skin, I would look at other options, especially when you’re looking for a cleanser for daily use. Ingredients: Aqua, Glycerin, Sodium Laureth Sulfate, Cocamidopropyl Betaine, Sorbitol, Laureth-4 Carboxylic Acid, Ethylhexylglycerin, Acrylates/C10-30 Alkyl Acrylate Crosspolymer, Methylparaben, Parfum, Sodium Hydroxide, Menthol, Polyquaternium-39, Disodium EDTA, Propylparaben, Charcoal Powder, Mannitol, Cellulose, Caprylic/Capric Triglyceride, Methylisothiazolinone, Hydroxypropyl Methylcellulose, CI77499. 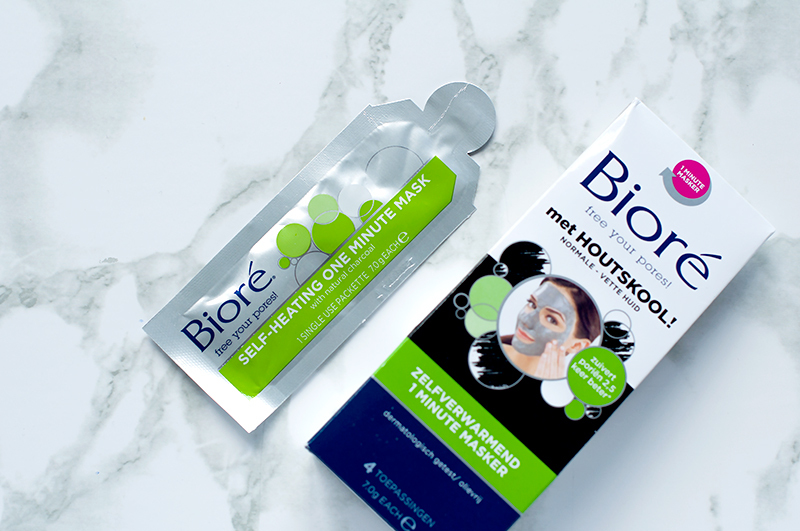 The Bioré Charcoal Self-Heating One Minute Mask comes in a box of 4 individually wrapped charcoal face masks (perfect for travel)! This is one of those face masks I love to put on during winter times because as soon as you put it on it will start to feel warm. Much like the cleanser, this was infused with charcoal powder to clean clogged pores. Afterwards it finishes with a slightly cooling sensation for tingly-smooth skin. The best part? It only takes one minute. This is one of the face masks I go for when I need to face mask but don’t have enough time. Ingredients: Butylene Glycol, Zeolite, Kaolin, PEG-8, Methyl Gluceth-20, Cellulose, Talc, Parfum, Lauryl Methacrylate/Glycol Dimethacrylate Crosspolymer, Charcoal Powder, Dimethicone, Hydroxypropylcellulose, Menthol, Disodium EDTA, BHT. 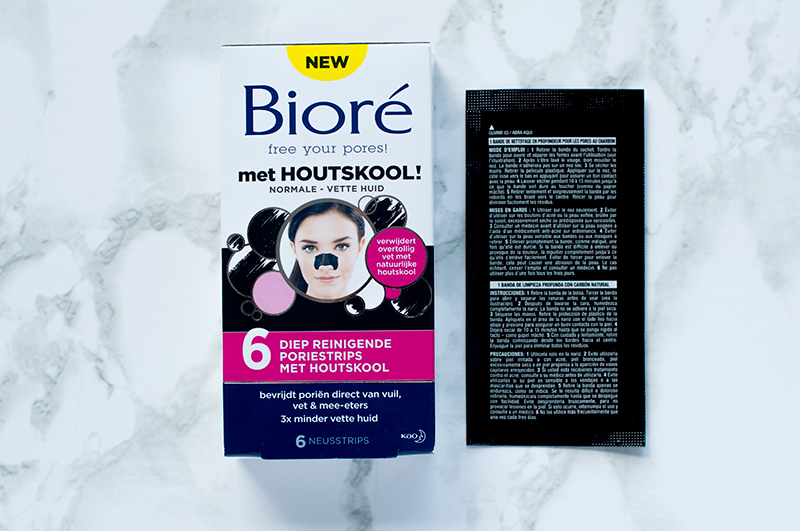 Bioré is probably most known for their pore strips. They introduced them to the market in 1997(!) and have been the number one ever since. The charcoal version is one I would always pick up whenever I went to Japan, so I’m really glad it’s now available here. If you’re not familiar with using nose strips, you simply wet your nose, stick one of them on for a couple of minutes and then rip it off to draw the dirt out of your pores and get rid of excess oil. If you’re used to using nose strips, I probably don’t have to tell you how satisfying it is to see all of the gunk you can withdraw from the pores. Well, let me tell you.. it’s even more satisfying when that pore strip is black. I like these to free my pores from blackheads that are on the surface, but for a deeper pore clean you will need the help of some BHA’s. Ingredients: Polyquaternium-37, Silica, Aqua, Glycerin, Polysilicone-13, CI 77499, PEG-12 Dimethicone, Menthol, Charcoal Powder, Styrene/Stearyl Methacrylate Crosspolymer, Methylparaben. 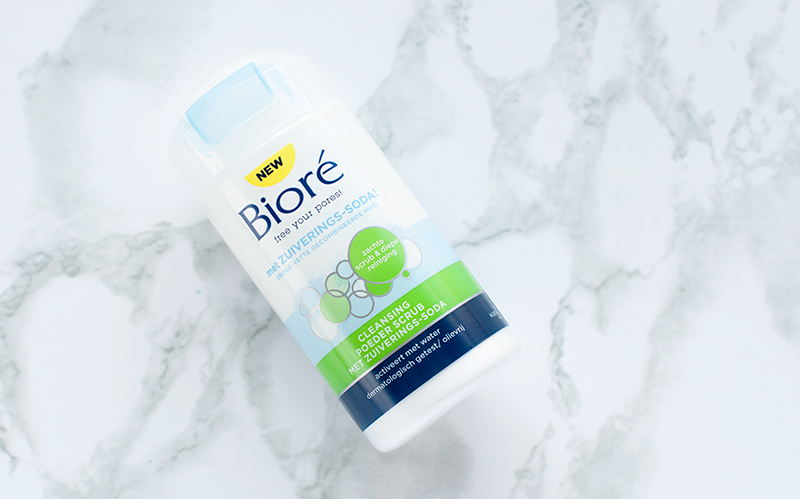 Last but not least, there’s the Bioré Baking Soda Scrub, a white powder scrub designed as a treatment scrub for usage up to 2-3 times per week. I only use this once a week to not over-exfoliate my sensitive skin. 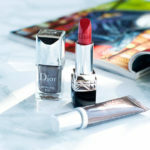 Powder scrubs like these have been popular in Asia for years and now it seems they have made their way to the West (examples are Dior, Indeed Labs etc). They are a lot better than the homemade recipe’s using baking soda you frequently see online since they are pH-balanced. I like these because they can be adapted to your liking. If you want it to feel softer, simply add more water and vice versa. After adding water it will start to fizz and expand, before you can start to -gently- rub it on your skin. After using this for awhile, the polishing formulation, brightens and evens the complexion and eliminates dullness. It’s one of the most expensive products in the range, but you only need a little bit of powder for each use. Ingredients: Sodium Bicarbonate, Sodium Cocoyl Isethionate, Citric Acid, Sodium Carboxymethyl Starch, Silica, Panthenol, Sodium Citrate, Microcrystalline Cellulose, Parfum, Menthol, Limonene, Linalool, Geraniol, Citronellol. 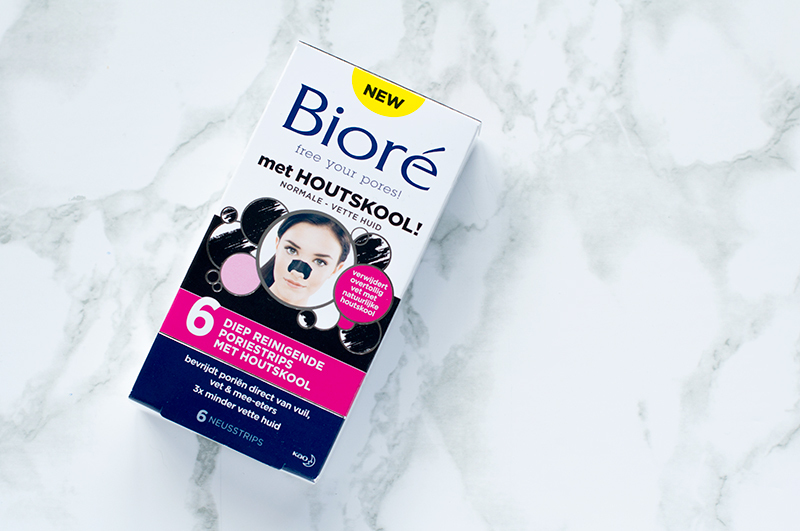 Although I love Bioré has landed at the Benelux drugstores and I think the products are okay and I have used most of them up, the pore strips are the only items I really continue to purchase. 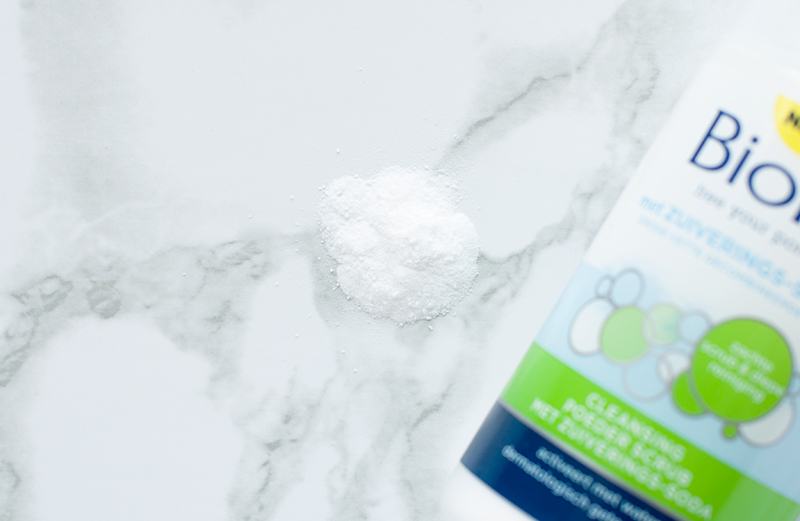 I like my cleansers to be really gentle (and menthol free) and slightly prefer chemical exfoliants over physical ones. I’m still missing the real star products of the brand and hope they will soon be added to the range. 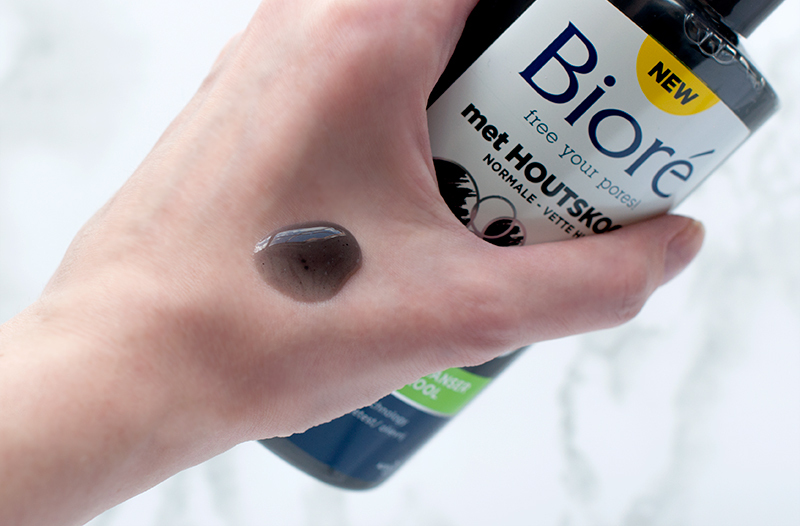 Tip: If you happen to go to Asia, do keep an eye out for Bioré and try their sunscreens and makeup removers.